In January we were thrilled to have Chef Tanya of Native Foods come visit us at Anaheim Hills for a Chalk Talk. While she was there, she shared her suggestions on the top six things to keep in your kitchen at all times, and we wanted to share them with you! Read more and see pictures from the event on the Native Foods blog. Quick for a snack, a great breakfast with some berries and walnuts for you and the kids. These are lentils, garbanzos, black and red beans. Keeps your engine on. You can use to make ethnically diverse dishes. Think Mexican black beans, East Indian Lentils, Middle Eastern garbanzos, etc. Steam them, saute them, chop them in salads, add them to your cooked beans for a hearty soup. 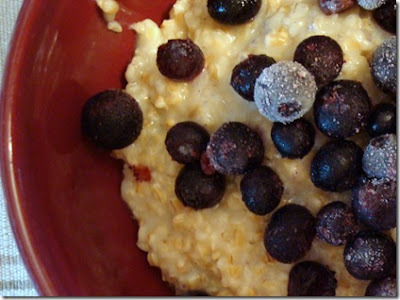 An easy to eat fruit, kids can snack on them and they go good in the oatmeal. The California wonderfood. Slice them, spread them, guac them. Ready to make a fresh easy salad dressing or saute some onions and garlic for a flavor base for your grains, legumes, veggies and soups.